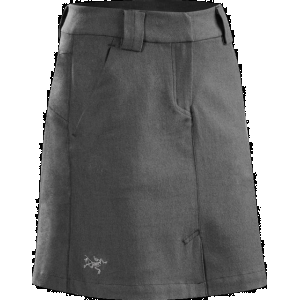 Visit Mountain Hardwear's Better Butter Skirt page. What's not to love? This buttery soft, lightweight material is luxurious and holds its shape. 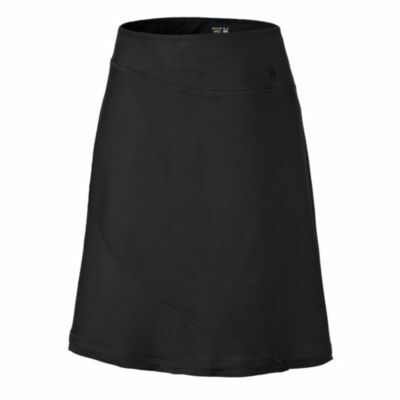 Mountain Hardwear's Better Butter Skirt is buttery soft, lightweight, and feels luxurious while holding its shape after all-day wear. The stretchy polyester blend wicks perspiration, keeping you dry and fresh while out on a coffee break. The wide waistband has a low-profile, giving you a modern, comfortable fit while the asymmetrical front provides flattering lines. 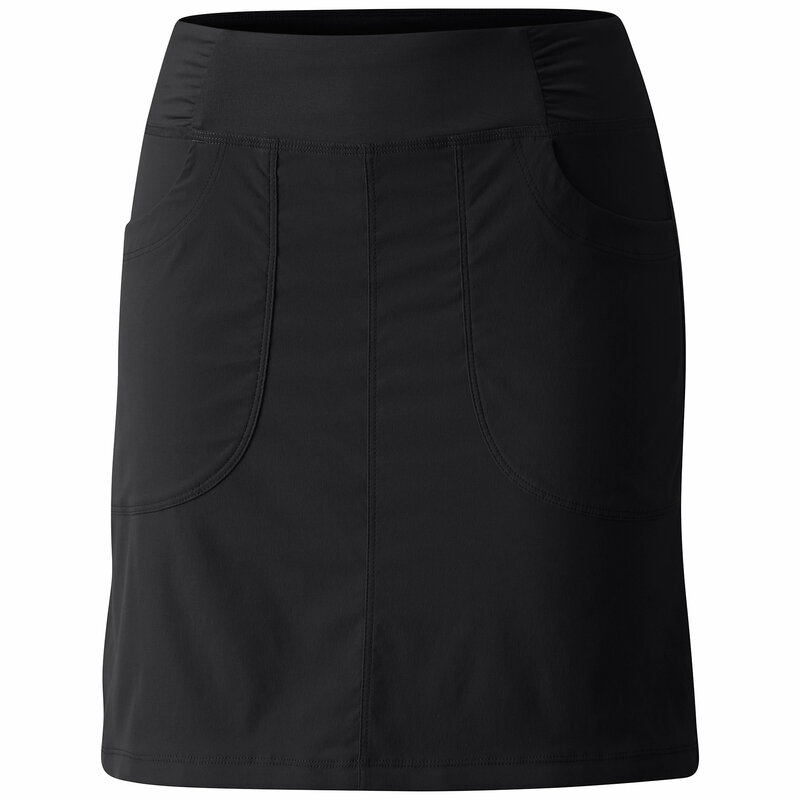 Soft, heavyweight stretch jersey gives the Mountain Hardwear Women's Better Butter Skirt durability and quick-drying, moisture-wicking performance. Its low-profile, wide waistband flatters your waist and never binds. 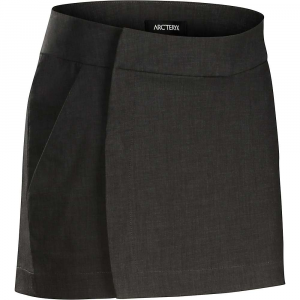 Flatlock seams eliminate chafing, and an asymmetric front flatters your figure. 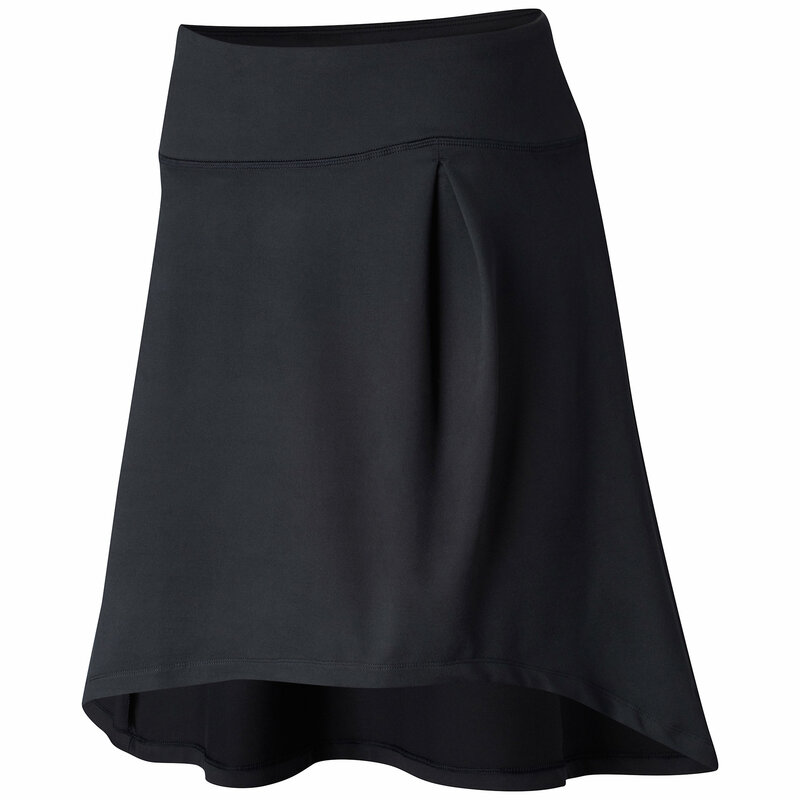 Fit for the trail or everyday movable comfort, this skirt is indeed better. 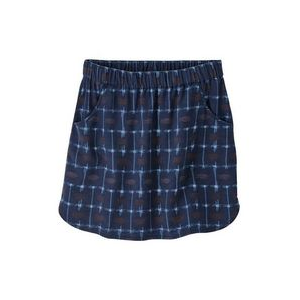 The Mountain Hardwear Better Butter Skirt is Mountain Hardwear's famous buttery soft fabric made into a cozy skirt. Wicking, fast drying, stretch fabric. Wide low-profile waistband for comfort. Flattering asymmetric front. Flat-lock seam construction eliminates chafe. 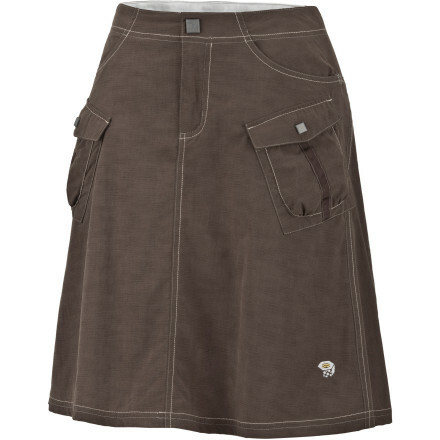 The Mountain Hardwear Better Butter Skirt is not available from the stores we monitor. It was last seen July 16, 2015	at Mountain Hardwear.